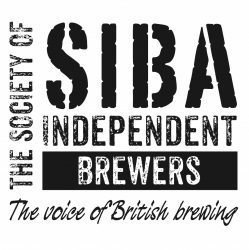 “We saw the SIBA Business Awards as a good opportunity to try and showcase what we do at the brewery. The aim of entering was to try and win an award and then use this as a good press opportunity – which luckily it turned out to be. It was quite time consuming to enter as we went for broke and entered most categories but it was very easy to do. The online entry system was very clear and easy to follow and the guidance notes were very useful. I did all the entries by myself as most of what I do at the brewery is IT based and was able to dedicate a few hours to the competition. It was however a team decision as to what we wanted to enter and into which category. It was a brilliant surprise when we won. I was doing ‘Movember’ at the time and didn’t even have a shave I was so confident we weren’t going to win! So unfortunately, I have a ridiculous ‘tasche in the photos. Winning the ‘Best ‘E-business’ category was fantastic as we had dedicated an awful lot of time to our social media pages and our website. However, being awarded a ‘Highly Commended’ in the overall ‘Best Business’ category really was the highlight for me as it recognised our entries across the board. We have won a fair few awards for our beers over the years but these were the first major awards that we had won for other aspects of what we do. It’s always great to be recognised as being a successful business. The press coverage, both regionally and nationally, we got shortly after the awards was really beneficial. We also saw a sharp spike in the number of followers that we had on both our Facebook and Twitter pages. On an internal level too, it was a great morale booster with all the staff at the brewery. “We entered last year because we had entered previously and been highly recommend and we hoped to do better. I thought that we had a great case and were very proud of our team’s achievements and I wished to let others know about them. We were delighted when we won, and were able to promote the brewery in the relevant media using the news of our success in the Awards. “We decided to enter in 2010 because we felt we had undertaken some activities that reflected well on us and our customers and partners and that were worthy of consideration for an award. Finding time is never easy but it didn’t take too long and the internet system for submission was straightforward. We worked as a team to put the submissions together. The nature of our submissions meant that this included external customers and partners. It was good to sit down with brewery staff and the others to reflect on what we had done and achieved. We were delighted – and why not? Winning something is always a good feeling and is something that all the staff can feel proud of, especially given the very strong entries from other breweries. I think the process of entering helped cement a greater relationship with our partners and customers that featured in our submission and we shared the delight of winning.